I've been wanting to write about my nail care routine for a little while now, but I guess I wasn't feeling fully confident about it. I mean I'm still so new to blogging and I'm no expert on the matter but I finally decided it was time to bite the bullet. Now, I'm not claiming to be an expert. I'm not a nail technician, but over the years I have slowly refined my nail care and I am finally at a point I'm happy with it. These are products and tools which work for me. However, please note they may not be right for everyone. I am just writing about what helps keep my nails healthy in the hopes it may be useful for you too. Pictured above are my nails at present following my nail care routine. I've filed them down and given them some love. Yes they are a little stained; the cost of constantly wearing so much polish but they have improved and they are healthy which is the most important thing! I LOVE this file! Like honestly it has been one of the best changes to my routine. This particular one is from Dream Polish and is mini in size so is super easy to carry around with you and has its own little protective sleeve. Obviously I'm not saying this particular file is the only one to use but the key about it is that it is made from crystal glass. I used to use a cardboard nail file but since using a glass one I will NEVER go back! The traditional cardboard files should only be used to file in one direction but generally they aren't. When filing in both directions they can cause the layers of the nail to split; making them more prone to breaking. Glass files can actually be used in both directions as they don't cause the layers of the nail to split. I use this once every 10 days or so, generally when I need to, but never more than once a week. 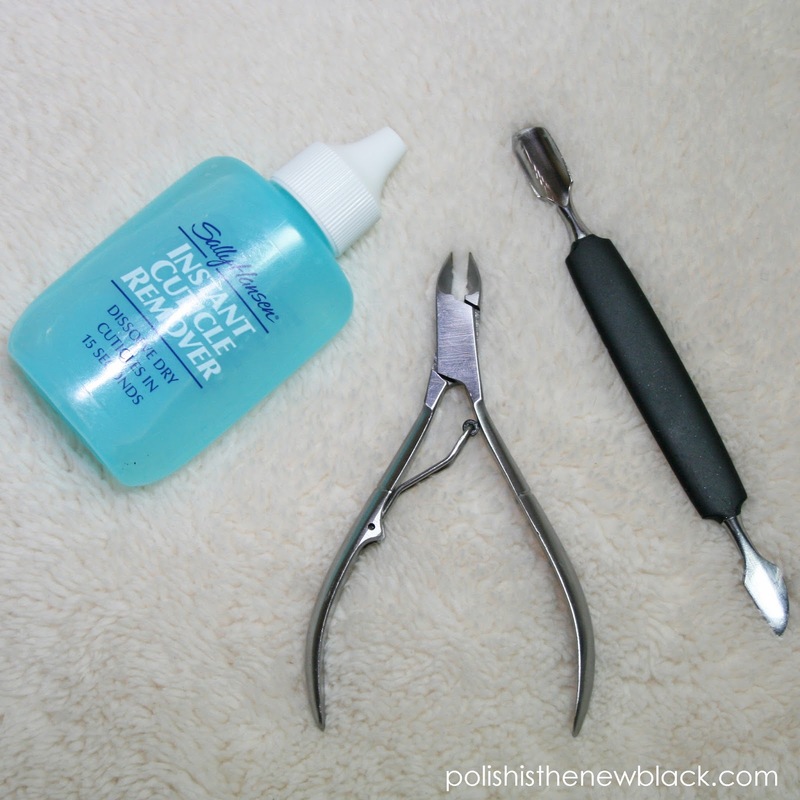 I apply it around my cuticles and let it sit for a few minutes before pushing back my cuticles with my cuticle pusher. Cuticle removers contain lye which dissolves skin. Unfortunately they don't just work on the cuticle so I apply a liquid latex based skin protector around my nails before using it. I always wash my hands immediately after using this as per directions. This particular one is from Sally's but you can find them cheap online. I use this alongside the cuticle remover to keep my cuticles neat. I use the rounded side to push the cuticle back and the pointed side to scrape around my nail. I purchased these particular ones from Sally beauty supplies but you can pick them up really cheap as stated above. I actually use these for hang nails rather than my cuticles. They are perfect to quickly nip them away rather than pulling or biting them and causing sores around your nail. I also find these really handy to use with nail wraps and tape to trim close to your nail. Nail Polish Direct: £11 / £22 (as part of a set). I posted about this as part of the Brilliance treatment set HERE. My nails have become discoloured with painting them so often. Although they are healthy I don't like the look of yellowed nails. I tried some DIY whitening with bicarbonate of soda and lemon and whitening toothpaste with no luck. I then tried this and it has definitely brought out a lot of the staining. I believe the idea is to use this treatment on its own but I am continuing to paint my nails and so haven't seen the full effects. For my nail care I generally just use the serum. I paint it on my nails let it sit for 5 minutes and then rinse it off before applying my base coat. I like to do this once a week to keep on top of the discolouration. These 2 are the newest additions to my nail care routine but have fast become my favourite! I've been using them religiously over the past month and I am in LOVE. I am so happy I found these I wish I had been using them sooner. I apply the oil and the balm all around my nails and let it absorb as often as I can. I like to do this at night especially and sleep with cotton gloves on. I cannot sing the praises of these products any higher! 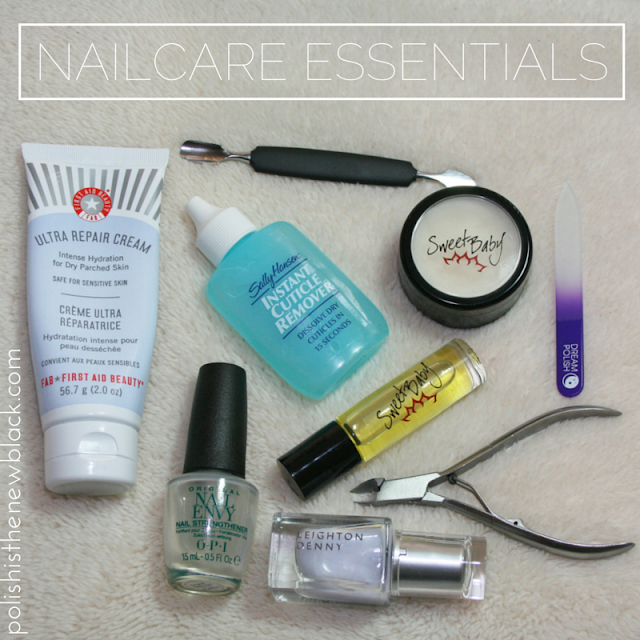 My cuticles have never looked so good AND these products are scented! I bought them in Pink Sugar and OMG they smell AMAZING!!! This is my go to base coat at the moment. It helps with peeling when my nails are sometimes in bad shape. This is the original formula but OPI have produced several variations depending on your particular nail problem. This bottle is nearly out and I've just ordered another; this time I'm trying the dry and brittle formula as it is supposed to be moisturising. Last but not least.... the part that is super important but I don't always remember to do! Moisturise those hands! Living in England... especially the North of England its always either raining, windy, cold or a combination of all. As expected, this causes havoc on my hands and they can often be very dry. This hand cream is incredible! It really rescues my hands when they are in a bad way. So... there you have it! My top products and tools to keep my nails and hands in perfect condition. I hope you guys find this useful. Please let me know your thoughts in the comments! As always if you have any questions don't hesitate to ask at all. 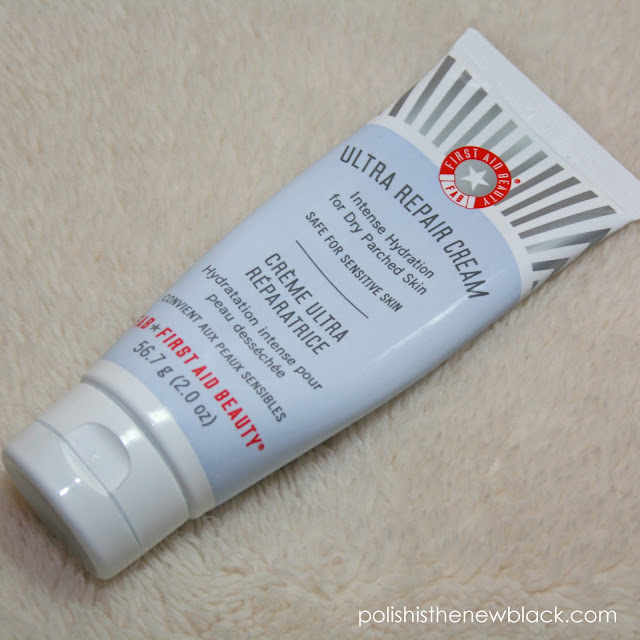 I'm very intrigued by the First Aid Beauty Hand Cream, I'd been wanting to try some FAB products and this looks like a great place to start as my hands are not liking the current mishmash weather! I'll also look out for the Leighton Denny serum as that sounds like a great idea. Thanks for the tips! I really really love the hand cream I haven't tried any other of their products but this really is amazing! My hands can get so dry with the cold weather and it always revives them. Ive been impressed with the serum too. My nails are still a little stained but definitely improved. Glad you liked the post! Alongside these products, do you eat or drink anything that contributes to your healthy nails? Mine always break after a certain length. Hi 😊 no I don't eat or drink anything specific that contributes to my nail health. I know some people like to take biotin tablets. Generally I try to be careful with my nails such as having a basecoat on for extra protection rather than bare nails, not exposing them to too much water by wearing gloves when I can and not using my nails as tools such as for opening things. My main thing is lots and lots of oil for my nails that always keeps them nice. Of course my nails break every so often but this helps keep them in better condition. Hope this helps!